If the Tsipras government can’t agree on bailout terms, Europe will soon be able to justify freezing Greek deposits. 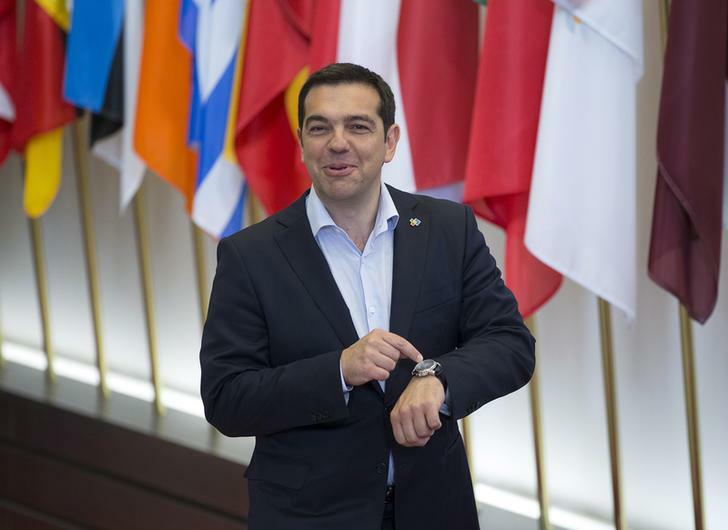 Athens might then be scared into a deal, but might also quit the euro zone. EU politicians need to make the threat credible – but they don’t want to pull the pin. European Central Bank Governing Council member Klaas Knot noted on June 16 that the ECB would not change the current conditions given to Greek banks for emergency liquidity assistance (ELA) as long as the Greek government does not default on its debt and maintains a dialogue with creditors. Greek banks saw deposit outflows of about 400 million euros ($449 million) on June 15 as the pace of withdrawals picked up after talks with the country’s creditors over an aid-for-reforms deal broke down on June 14, Reuters reported. The ECB increased the amount of emergency funding Greek banks can draw from the Bank of Greece to 84.1 billion euros on June 17, Reuters reported, citing a banking source.